One of the goals of our Beach Teeth Web site is to provide you with an extension of care. As you navigate through the site you will find a wealth of information about dentistry, tooth care, procedures and treatments. We believe our patients deserve to have the information needed to make wise choices about their oral health. Please take the time to browse through our practice to learn about Dr. Norris, Dr Ozer, and Dr. Maghami. You will also find useful information regarding our staff, office hours, insurance and appointment procedures, maps, directions and contact information. We work with our patients so they can achieve and maintain a beautiful smile and healthier gums and teeth. We take the time with our patients to explain their treatment options and inform them of additional preventative care. We feel very strongly that this will lead to a more trusting doctor/patient relationship and, for many people, relieve the stress regarding dental therapy. We take pride in our new facility located in the Metlox Plaza in downtown Manhattan Beach. Our experienced and well qualified staffs are also very friendly. They will be happy assist you in all matters regarding all your dental needs. We invite you to call or e-mail us. 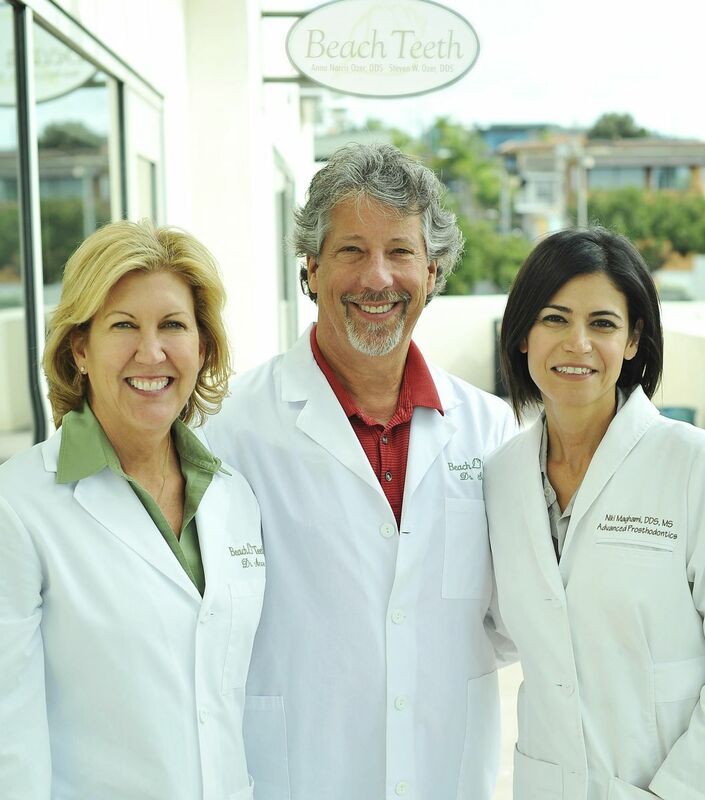 At Beach Teeth we provide all phases of General, Cosmetic and Implant Dentistry. We welcome patients from the South Bay communities of Manhattan Beach, Hermosa Beach, Redondo Beach, El Segundo, Torrance, Palos Verdes and Rolling Hills. We have gained a reputation that brings patients from the greater Los Angeles area as well as from across our country and many foreign lands.